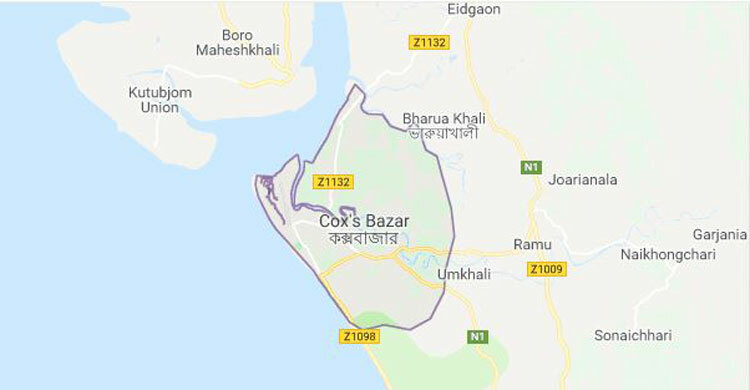 Three people were killed and four others injured when a covered van hit a human hauler on Chittagong-Cox’s Bazar highway near Inani Resort in Chakaria upazila of Cox’s Bazar on Wednesday, UNB reports. Nure Alam, in-charge of Siringa Highway police camp, said the accident took place around 11:30 am when a covered van of ‘Ranbow Paribahan’ hit a human hauler, leaving three dead on the spot and four others injured. The injured were taken to Sadar Hospital, he added.